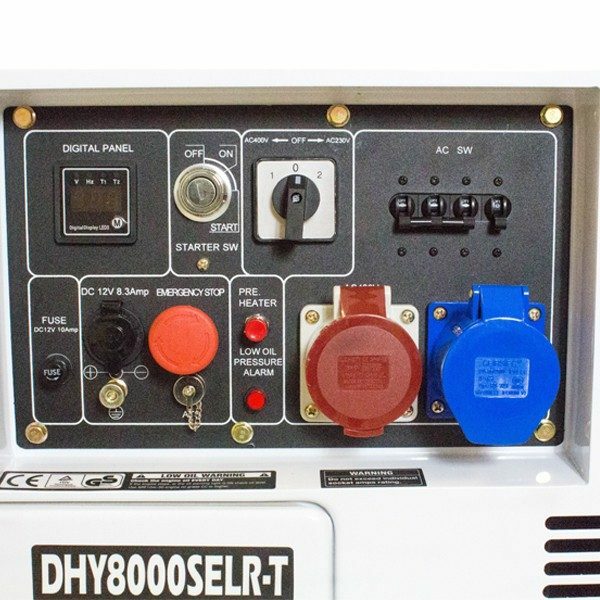 DHY8000SELR-T with a single and three phase 6kW output. 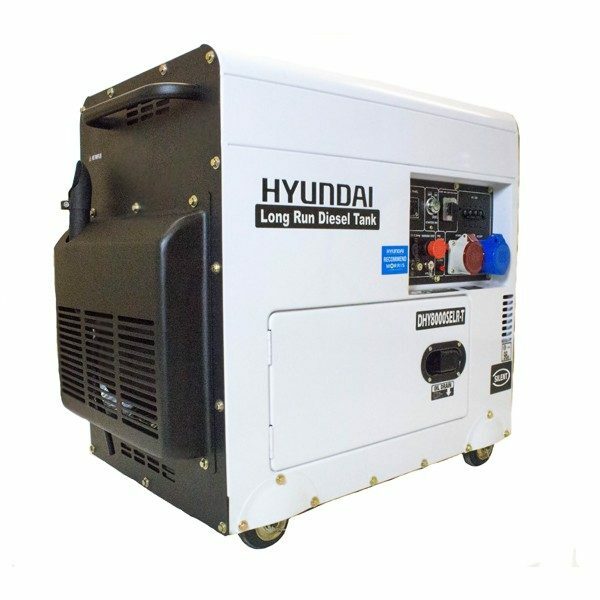 a compact and powerful diesel generator available from Hampshire generators. 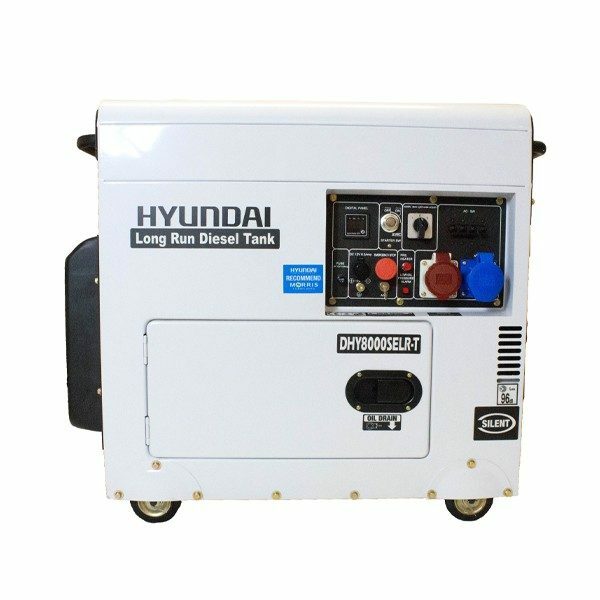 The DHY8000SELR-T is a compact yet powerful long run standby generator from Hyundai and it offers either switchable 230v single phase or 400v 3-phase voltages. 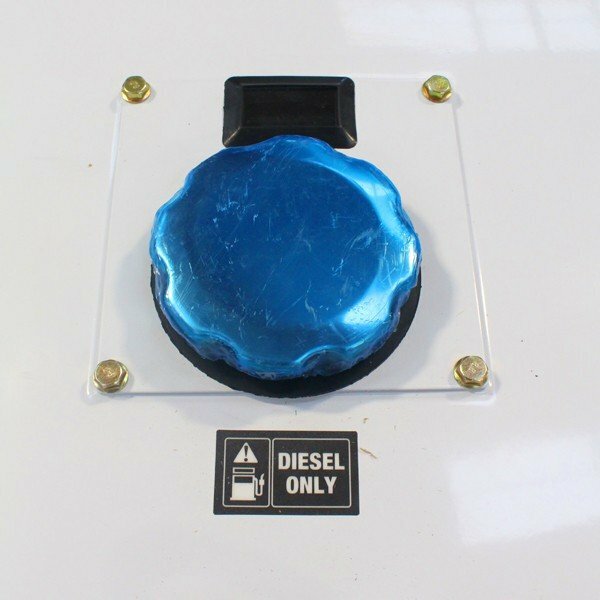 The DHY8000SELR-T is ideal for workshops, garages and home use. 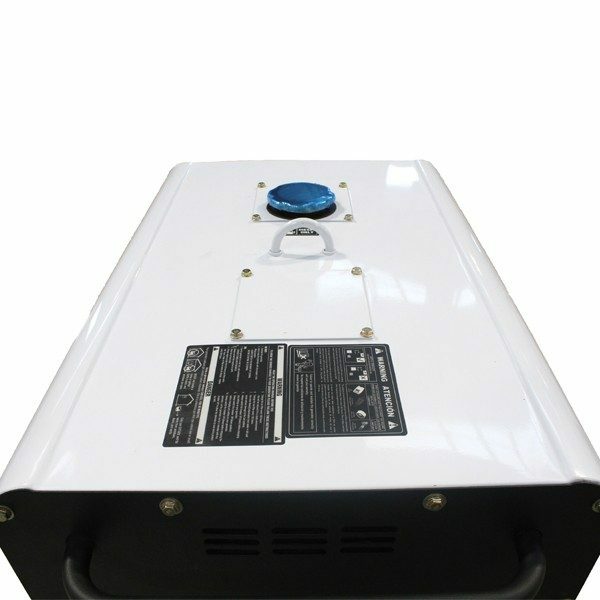 The large 30L fuel tank increases running time to a maximum of 30 hours and so you do not need to be constantly checking the fuel levels. 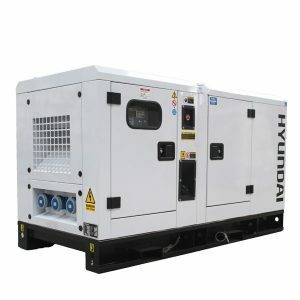 Powered by a 4-stroke, air-cooled 456cc single cylinder Hyundai diesel engine, the DHY8000SELR-T has a maximum output of 6kW / 7.5kVA which is plenty of power for many tasks. 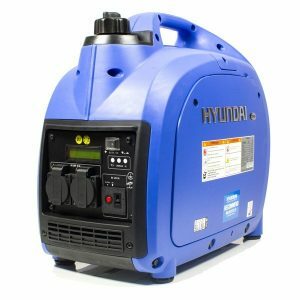 The control panel features 1 x 32A 230v single phase socket and 1 x 16A 400v three phase socket plus a 12v DC battery charging outlet therefore giving excellent connection options. Housed in silenced casing, the DHY8000SELR-T is an extremely quiet machine and will keep disturbance to a minimum for you, your family or your employees when powering your building. With a sound rating of 70dB @ 7 metres it compares well with other machines of this size. The DHY8000SELR-T is economical to run, using roughly 1L of diesel every hour. You can run the DHY8000SELR-T unit on duty free red diesel – significantly reducing the running costs; ask us for more details. fully covered by a 1 year manufacturers warranty.